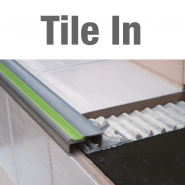 The Premium Tile Trim website is the go-to place for busy tilers looking to purchase Stair Nosings online. You will find a wide range of products to choose from, all of the very highest quality and available for delivery. We always keep our prices competitive to give you value for money whenever you place an order with us. 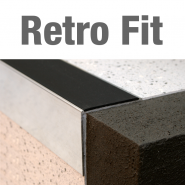 Browse through our range of Stair Nosings and order quickly and easily online. Our ordering system is efficient and secure, allowing you to buy exactly what you need, when you need it. It’s the perfect solution for trade and DIY projects alike.